Manufacturers of RV products and RV dealers recommend that you service your recreational vehicle in specific time intervals. If you have questions about your RV products and services and the necessary RV maintenance schedule for each, give us a call at Fix My RV. We would be glad to help you and ensure that your RV maintenance checks take place at the right time. We also offer crucial RV repairs on site, mobile should you find yourself on the road and in need of an RV repair. Fix My RV offers on site services for RV Repairs Phoenix, Arizona and the surrounding areas. 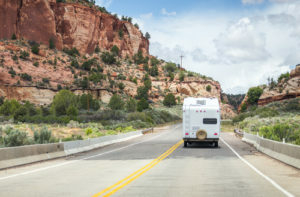 RV dealers and manufacturers recommend that you service your RV and RV products such as RV water heaters, RV furnaces, refrigerators, cooktop appliances, and generators at various times after they’ve been in use depending on the mileage, destinations and time. If you are traveling in the Valley of the Sun, and need mobile RV repair Phoenix services, we are the repair specialists to call – 623-875-5015. Rather than waste your time and money, we take special care and effort to service your necessary RV equipment the right way rather than the quickest ‘quick fix’ way. Our attention to detail is what sets us apart from our competitors in the nearby regions. We’d rather make sure that you are traveling safe and comfortably, rather than just send you on your way to the next destination with a ‘fix’ that might not be the best fix for your scenario. RV Hot Water heaters and RV air conditioners are important appliances to get fixed quickly for RV and camping enthusiasts. It’s never a good feeling to have something go wrong when you are on the road, but we offer solutions that will get you back up and running efficiently and most importantly safely. We are Aqua Hot specialists with specialized instruction and certification from Aqua-Hot. We are an Aqua Hot Authorized Service Center for all Aqua Hot heating systems. If you’ve not heard about Aqua Hot hydronic heating systems and their capabilities, we encourage you to learn more. Aqua Hot offers RV hot water heaters that maximize your comfort, including longer shower times.